1. Melt Spread over medium-high heat in medium saucepan and cook mushrooms with onion, stirring occasionally, until onions are tender and liquid is almost evaporated, about 8 minutes. Stir in flour and thyme; cook, stirring constantly, 2 minutes. 2. 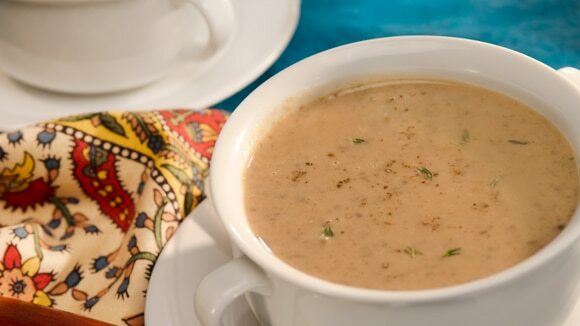 Process mushroom mixture, 1/2 cup water and Knorr® Homestyle Stock - Vegetable in blender* or food processor until smooth. Return to saucepan and stir in remaining 2 cups water and half and half and bring to a boil over medium-high heat, stirring occasionally.